The cooling season has arrived, and soon you may be seeing your friendly Logan A/C & Heat Services representative in your Dayton, Columbus and Cincinnati area home to help with your air conditioner needs. 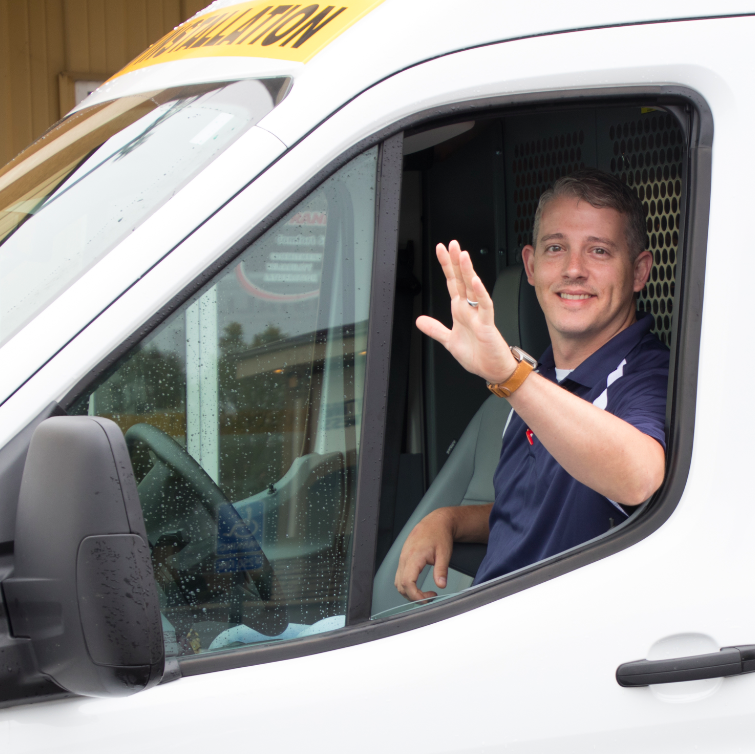 All of our HVAC installers and service technicians wear a clean uniform and a badge that clearly identifies them as employees of Logan Services. The vehicle that they drive will also have the company logo on the side. We will come to your home within the 2 hour arrival period, and if asked, will call you with an exact arrival time. Our installers and service technicians will be professional and courteous. They will answer any questions you may have. Before setting up your new heating and cooling system, they will go over the install process. They will teach you how to operate the equipment and listen to any concerns or comments you may have before they leave. Want to tell your friends about your great Logan Services experience?